AirFreight.bid is offering a special Free Trial program beginning on April 24th, 2017. The 30 day trial will give subscribers an all accesses pass to the Pro Level Subscription. 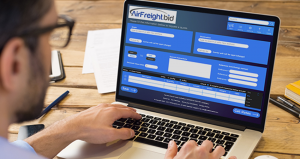 Wondering about what this new, innovative airfreight platform can do for you and your business? This is a perfect place to start. This Free Trial program is a $499 offer, giving you complete access to all Pro Level features. Learn more about the different Subscription Levels. Bring supply chain management into the 21st century with this streamlined platform with no obligation. Businesses will quickly see the benefits of the Pro Level Subscription. Taking the stress out of logistics and eliminating headaches along the way. Keeping a business running takes up an impressive amount of time, don’t let shipping hold it back. The modern supply chain is a complex environment eating away at your business’s bottom line. Streamline the process today. Sign up now and take advantage of the Free Trial today!